Germany is world-famous for a number of foods, but the most delicious meal you’ll have while visiting the country is likely breakfast. The famous home of more than 300 different types of breads and rolls, you’ll be sure to enjoy the yeasty goodness that a German breakfast can provide. If you’ve tasted it once, you don’t want to go back to eating cereal in the morning. But what if you cannot get the same kind of delicious, freshly-baked rolls in the United States? You only have one solution: use your GE range to make them on your own. It’s a great and creative example of cooking with appliances. If you own a GE range, count yourself lucky. It’s a perfect oven to bake breads, thanks in large part to convection possibilities that make for a perfect and even bake, along with a proof setting on many appliances that allow you to easily raise your dough. Successfully baking bread absolutely requires accurate proofing. Underproofing your dough means ending up with rolls or breads that are small and rock-hard, while overproofing typically result in bloated dough with little substance. The proof setting on your GE oven ensures that neither will be a problem. Walk into a German bakery, and a number of delicious smells will immediately greet you. But perhaps none is more distinct than that of fresh raisin rolls, baked with a sweet milk dough that ensure you will get a great start into your day. They’re meant for breakfast, but when paired with some delicious butter, these raising rolls can be enjoyed any time of the day. 1. Preheat your oven to 325 degrees. This yields around 8 to 12 rolls, depending on the size you want. The smaller the roll, the more you will get. 2. Sift flour into a bowl, and put a well in the middle using your finger or the end of a wooden spoon. Add the yeast and 1 tablespoon sugar into the well. 3. Next, add the lukewarm milk and mix the yeast and sugar together. Cover and let it rise in a warm place for about 15 minutes. Do not mix in the flour; you are simply proofing the yeast. 4. After the yeast, sugar, and milk mixture has started to bubble, add the rest of the sugar as well as the butter, the 2 eggs, and the raisins. You want to knead this until it forms a smooth texture. Add more flour if needed. Cover and let it rise again for 30 minutes. 5. Take your dough out of your bowl and knead it again on a workspace covered in flour. Form small rolls and put them on a baking sheet covered with parchment paper. 6. Mix the egg yolk with the 1 tablespoon of milk and brush on the rolls. Let them rise again for 20 minutes. 7. Bake them at 325 for 15 to 20 minutes. You are looking for a golden brown crust. Freshly baked, these rolls will have a soft inside with a beautiful, crispy outside. They’re best on the day you eat them; however, you can also enjoy them in the days after they come out of the oven. In that case, simply stick them into your oven or microwave until they’re warm enough for any butter you put on them to melt onto the surface. Thanks to your GE oven, you can easily recreate the magic of a traditional German breakfast. 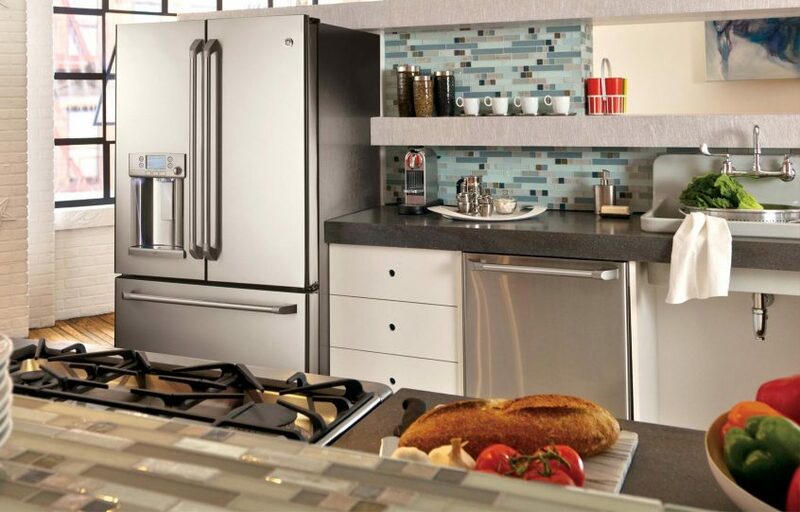 To learn more about General Electric ovens, and to get help should yours need a fix, contact us.